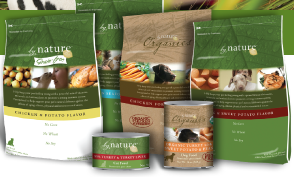 Free Full Size Bag of By Nature® Dog or Cat Food – After Rebate! You can score a free bag of By Nature® pet food. There is a rebate for up to $12.99 for the purchase of By Nature® natural pet food (3.5, 4 or 6-lb bag). You can head over here to print your rebate form. These products are sold at Petsmart. You can head over to the website to check out more info on the products. Buy qualifying bag between 8/10/2010 and 11/10/2010. The original form must accompany your request. Your request must be received by 12/31/2010. This offer is good only in the United States. Limit of one rebate submission (up to $12.99 total value – rebate check will be for the actual purchase price excluding sales tax) per household or address. Allow 4-6 weeks for shipment. Parents Magazine: Free 6 Month Subscription! Blockbuster Free Rental Code – Today Only!